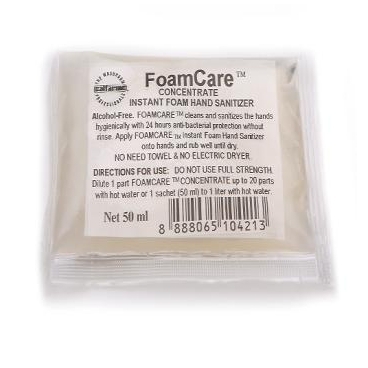 Concentrated refills for 24 hour anti-bacterial protection foam wash without rinse. No need for towel or electric dryer. 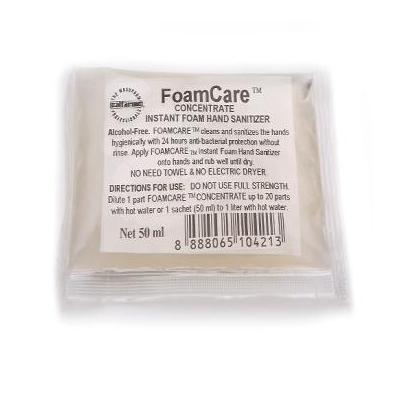 Alcohol-free Instant foam hand sanitizer & foaming toilet seat sanitizer. Environmentally friendly packaging refills in 50 ml sachet, reduces impact to our environment on disposal.